Medication overuse headache refers to headaches that are induced by using acute migraine medications too frequently, says Dr. Todd Schwedt, MD, MSCI, FAHS, a Neurologist at the Mayo Clinic in Scottsdale, Arizona. He recently sat down with the American Headache Society to explain how the findings from the recent Medication Overuse Treatment Strategy (MOTS) Trial will affect migraine treatment recommendations, and how health care providers can prevent medication overuse in patients. Medication overuse headache has to do with the frequent use of acute medications, which are taken at the onset of a migraine attack to try to reduce the severity or, optimally, to abort the attack. The criteria for medication overuse varies. If the patient is taking simple analgesics, the criteria is use on 15 or more days per month. If the patient is using any other of the migraine acute medications or a combination of those medications, the criteria is use on 10 or more days per month. Additionally, this pattern has to be seen over three months. A medication overuse pattern is a risk factor for an increase of migraine frequency over time. In addition, it can cause medication overuse headache in some individuals. How prevalent is medication overuse within the community of patients with migraine? Unfortunately, it’s highly prevalent. If our preventive therapies worked better, then perhaps it wouldn’t be so prevalent. Amongst those with chronic migraine—defined as 15 or more headaches per month of which at least eight are full-blown migraine attacks—about half of people in the general population fit into this medication overuse category. In headache specialty clinics, the number is probably much higher. What is the MOTS Trial? The Medication Overuse Treatment Strategy Trial (MOTS) is a large, pragmatic clinical trial that is funded by the Patient Centered Outcomes Research Institute. The main goal of the MOTS Trial is to determine the best treatment strategy for individuals who have chronic migraine with medication overuse. Individuals in the MOTS Trial are being enrolled from about 30 different centers around the country and are randomized to one of two treatment strategy arms. In both strategies, patients receive preventive therapy. These therapies are intended to reduce the frequency of migraine attacks overall. The difference is that in one of the treatment strategies, the individual is asked to switch from the medication that they’re overusing to an alternate medication, which they use on a limited frequency, so that they’re no longer in a medication overuse pattern. In the other strategy, the preventive therapy is either started or optimized, but the individual is not given instructions to immediately switch from their overused therapy. The idea is that as the preventive therapy kicks in, the frequency of migraine attacks is going to reduce and the patient will naturally reduce the use of their acute medications over the following months. 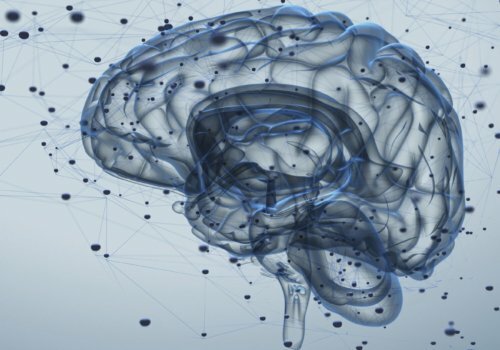 How will findings from the MOTS Trial inform migraine treatment? There isn’t consensus yet on the best treatment plan for patients who have chronic migraine with medication overuse. The MOTS Trial is going to directly impact the recommendations that we give to our patients. The primary goal of the MOTS Trial is to determine if the two treatment strategies have similar outcomes during the third month after randomization. Other outcomes will be explored, such as headache patterns during the first two weeks following randomization and the ability for patients to adhere to each of the two treatment strategies. In the end, results from the MOTS Trial should inform clinicians on how to best treat chronic migraine with medication overuse. Can you explain the steps health care providers can take to prevent medication overuse headache? First, we need to educate patients about medication overuse and medication overuse headache. There have been studies showing that education alone has a positive impact on reducing the rates of medication overuse and medication overuse headache. Secondly, we should put limits on the frequency with which individuals can take their migraine acute medications. A general rule of thumb is that your patients on average shouldn’t be using these abortives more than two or three days per week. Thirdly, avoid opiates and butalbital-containing medications when treating migraine; these are the worst offenders. Lastly, look at trends over time. We all know that patients can have a bad month or two where maybe they’re going to exceed the limits that we would like for them, in regards to the use of their acute medication. By following a patient closely, you can oftentimes see if their use of acute migraine therapies is slowly going up each month. At that point, clinicians need to intervene by having a conversation with the patient, reeducating them, perhaps making changes to their preventive therapy, and recommending changes to lifestyle and trigger avoidance, when applicable. 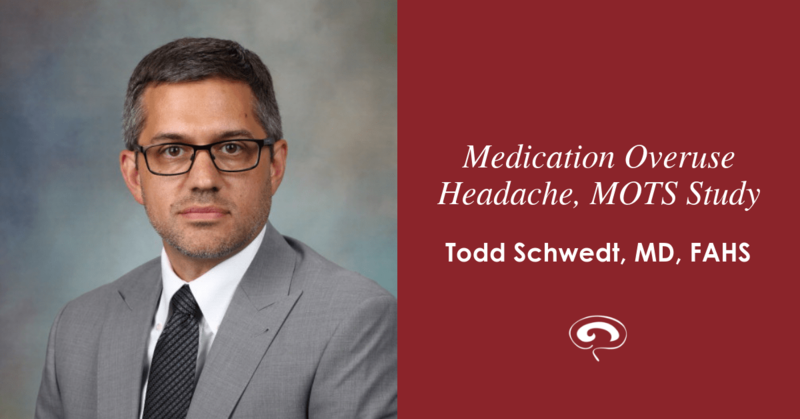 Todd Schwedt, MD, FAHS, is a member of the American Headache Society, a professional society for doctors and other health care workers who specialize in studying and treating headache and migraine. The Society’s objectives are to promote the exchange of information and ideas concerning the causes and treatments of headache and related painful disorders, and to share and advance the work of its members. Learn more about the American Headache Society’s work and find out how you can become a member today.